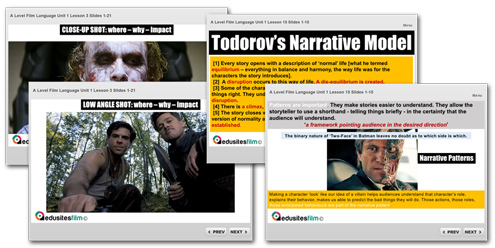 These materials are for use with the Eduqas (WJEC) 603 A Level Film Studies Unit 1 Film Language+. These support the work in your lessons and the Home Learning. Use these in conjunction with the Teacher lesson materials to develop students learning and understanding of the requirements of the examinations.